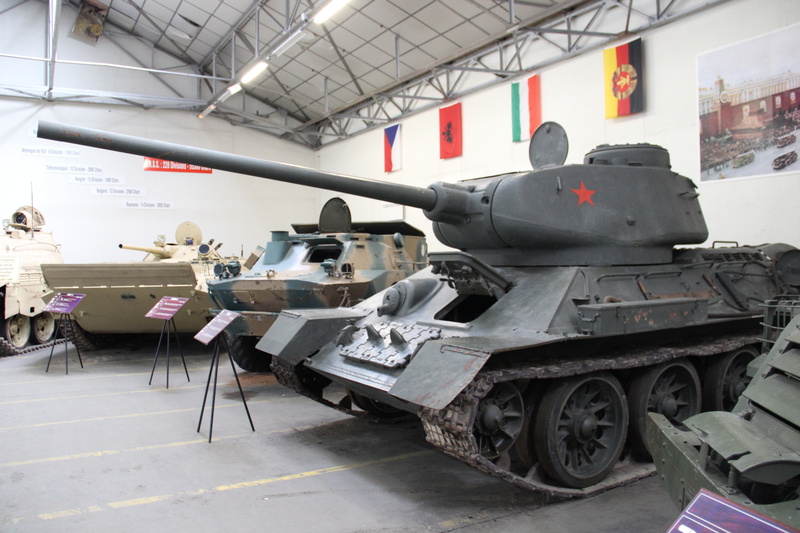 Welcome to Part IV about my visit to Saumur Tank Museum, where I will be talking about the Russian Hall and Allied Hall. 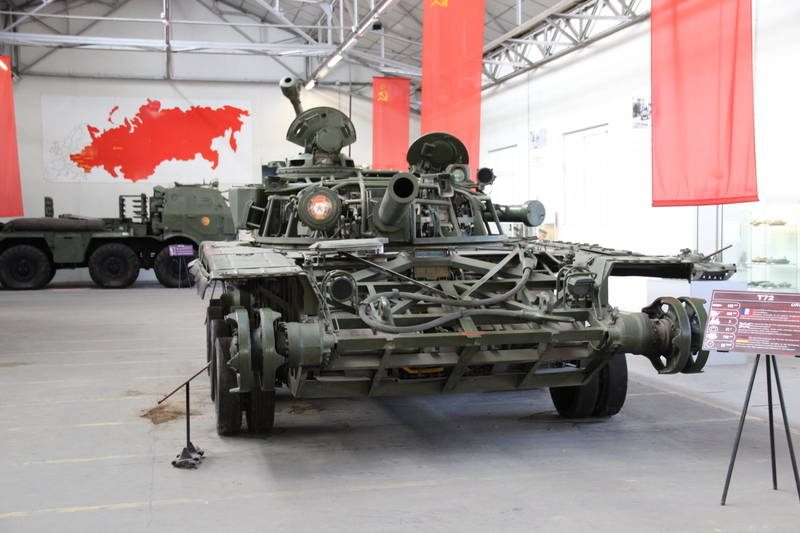 When you come out from the Curiosities Hall you are faced with a X-ray vision of the T-72 Main Battle Tank. 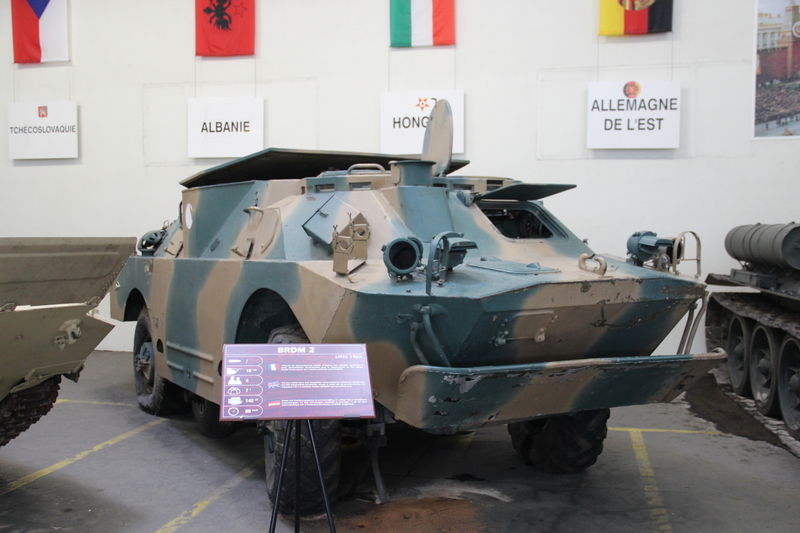 Vehicles like these were used for training so crews could learn more about enemy tanks, or even about tanks they would be driving. Unfortunately at this point of the visit, I was already rushing because I had little time. I still had a 13 hours drive ahead of me to get back to Portugal on the same day, so a decision had to be made… I had to take a few photos, see what I could, and would leave a more detailed photo session for another visit. 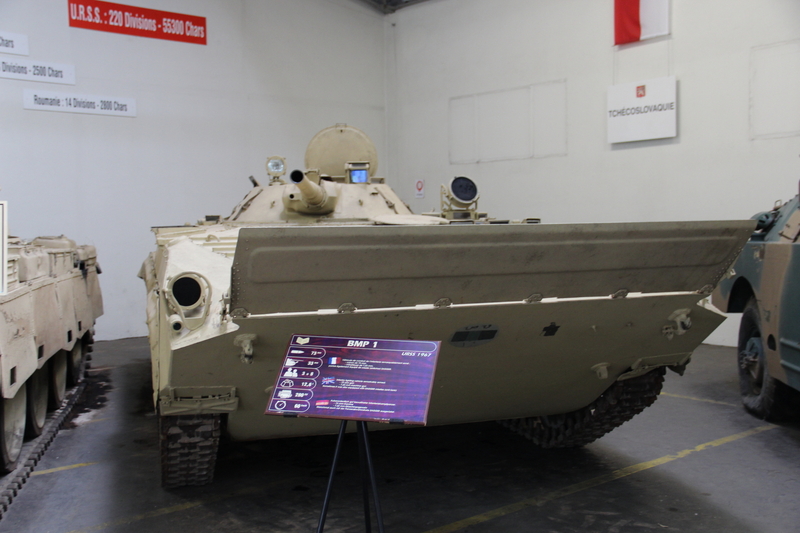 Together with these we got some other vehicles, more modern, like the PT76 and the BMP-1. 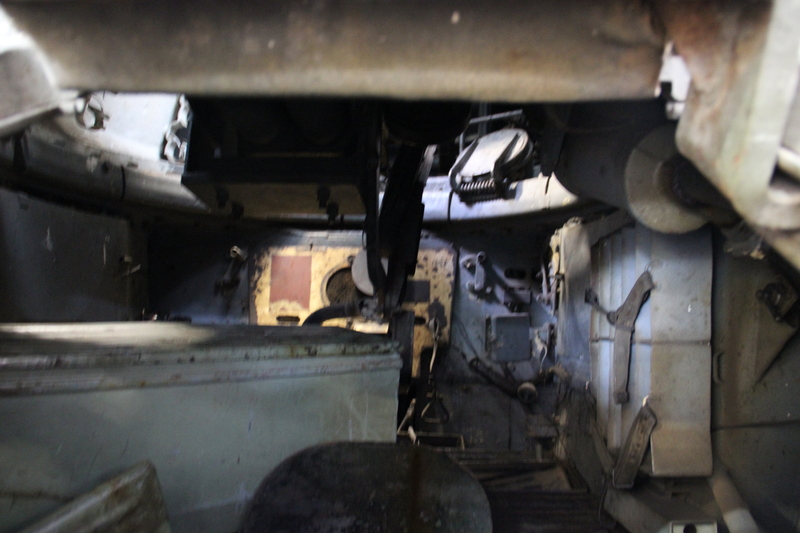 Also we can see a T-34-85 with the drivers hatch open and we can have a peek inside. I know, the picture is a bit blurred, but I was in a rush remember? Sorry… What can I say, doesn’t look comfortable. 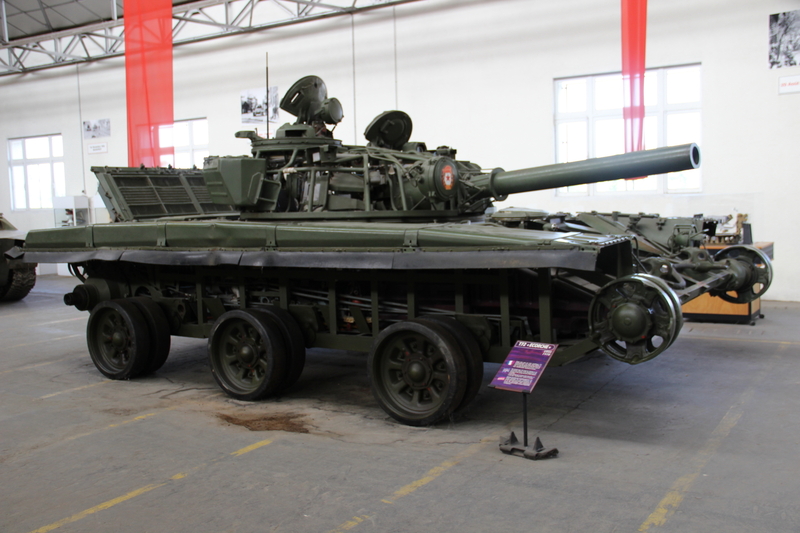 The driver would be sitting in a strange position and from what I heard talking with other tank nerds, it could be a very difficult tank to drive sometimes. 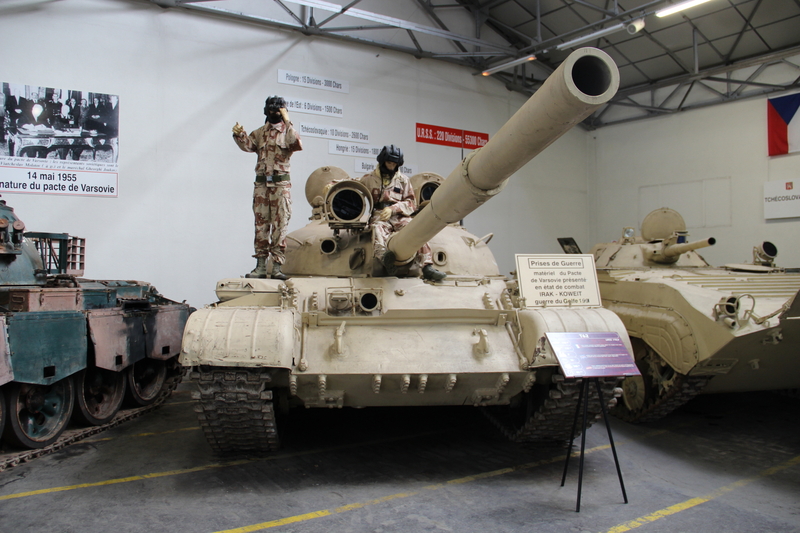 The Bovington Tank Museum has a running one, where they need a hammer to change gears! Yeah you read it right, a hammer! 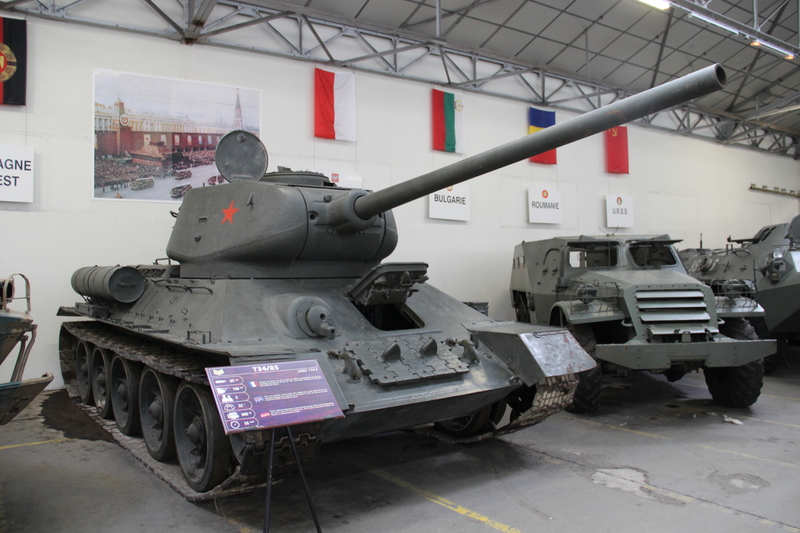 Moving along we got a SU-100 and a KV-1 in some kind of display, and another T-34-76. This one has something special. 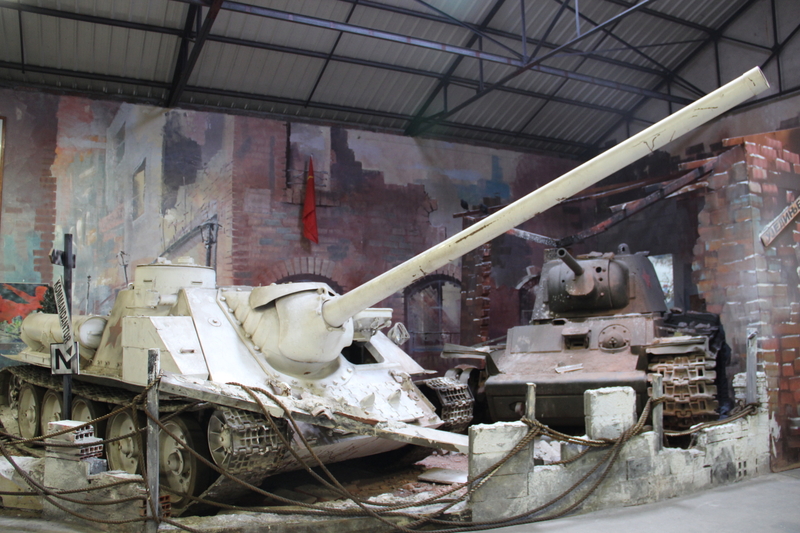 The gun, no it’s not the 76mm you would expect… Look closer. It’s a pipe! 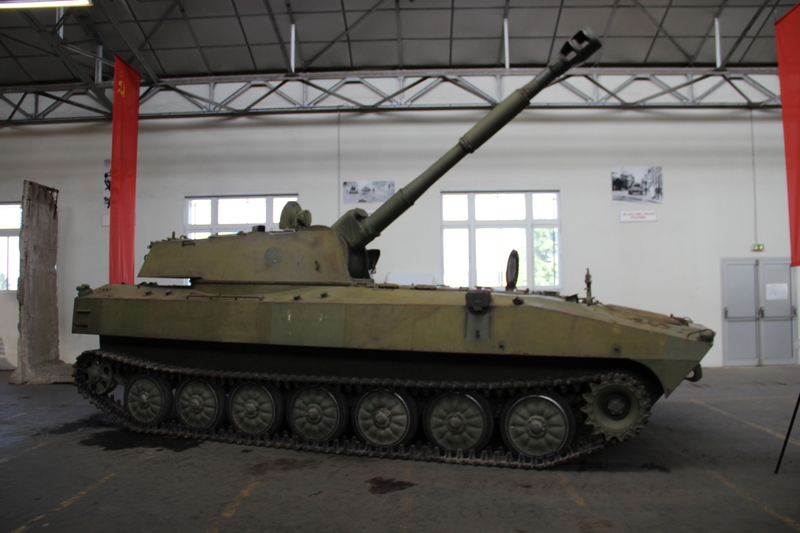 The mantlet and the gun are fake just to complete the tank, but it doesn’t end here, the drivers hatch and exhaust pipes are also fake. 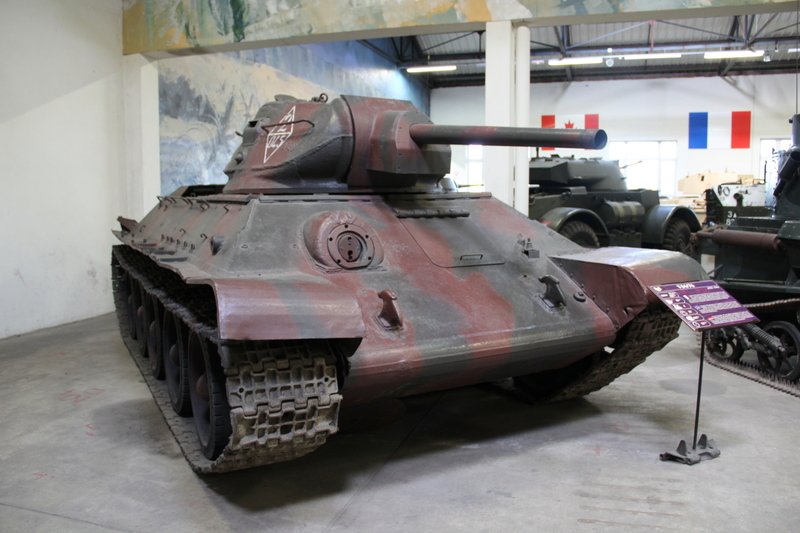 This particular vehicle was produced in 1942 at factory No. 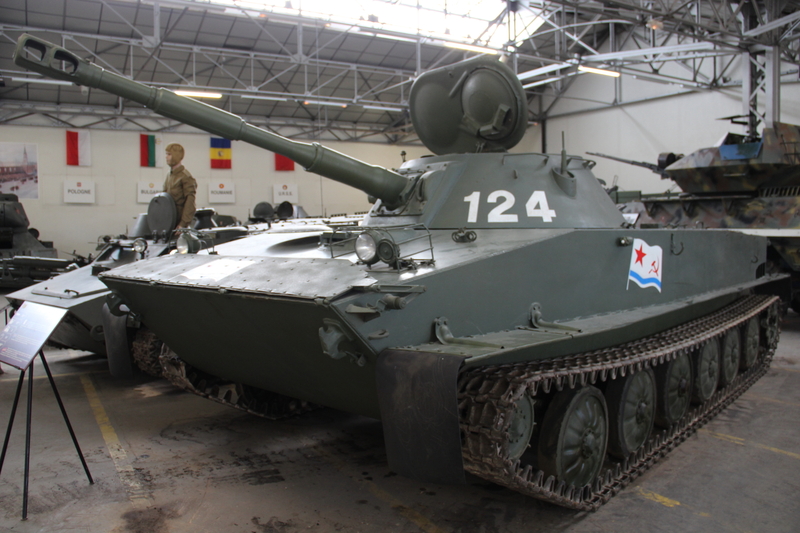 112 Krasnoye Sormovo (Taranov), but there wasn’t any information on why the tank is not complete. 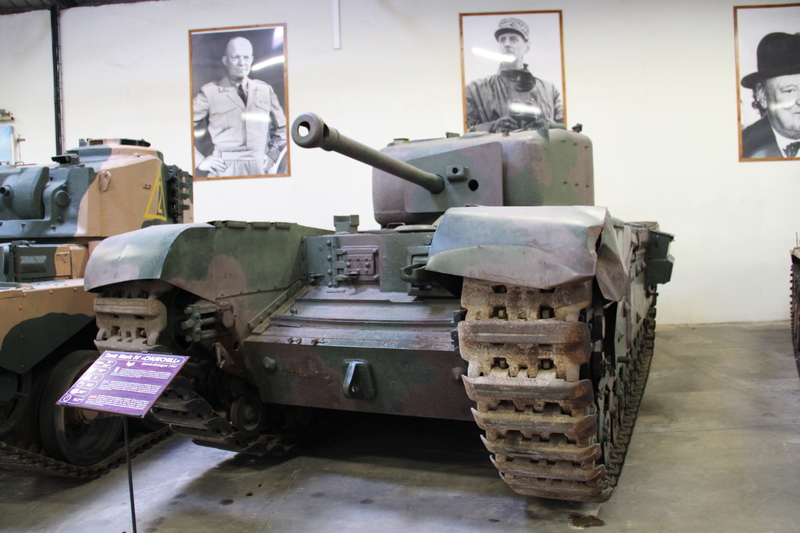 Then we get to the Allied Hall, here you can find tanks like the Valentine, Stuart M3A1, an amazing Comet and a not very usual find, A27L Centaur Mark IV Tank. 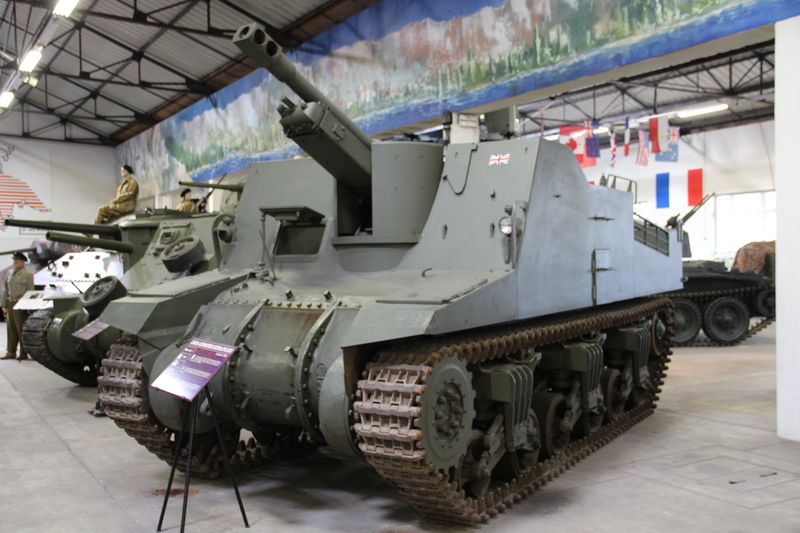 This is a modification of the Cromwell and was equipped with a 95mm howitzer, for close infantry support purposes. Some Centaur turrets had the degrees of a compass painted around them in white, the 360º maker was at the rear and the 180º was in the front and indicated South. 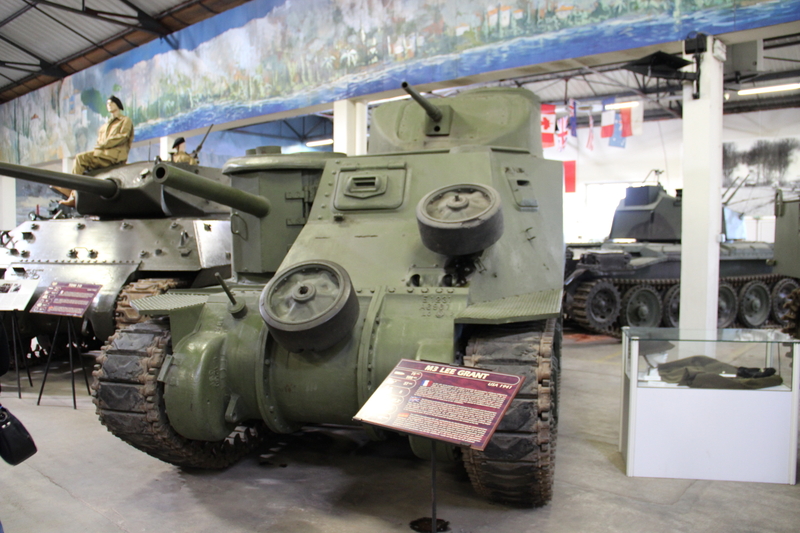 These were added to help the Centaur lay down covering fire while standing still on the landing craft as they approached D-Day beaches. I have been lucky enough to see one with these markings in the Cobbaton Combat Collection. 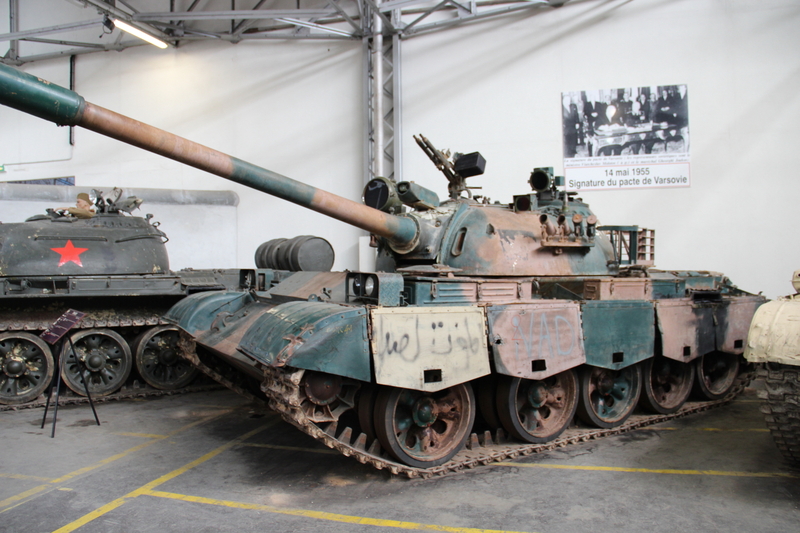 Only 15 of these tanks are known to remain, from different variants, and 5 of them are in Portugal. 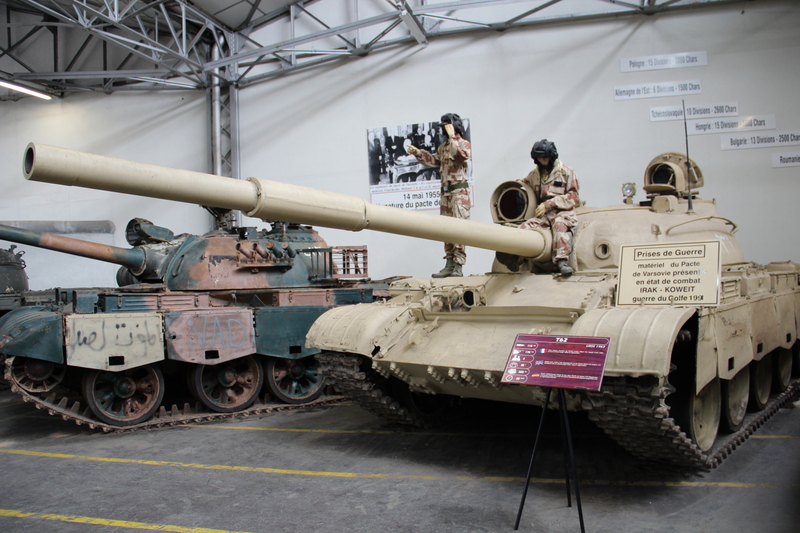 Two Mark I tanks are in the Portuguese Army Cavalry School Museum, one Mark I in the Military Base Santa Margarida da Coutada and one Mark I and a Mark III in the 2nd Lancers Regiment Barracks, Calçada da Ajuda. 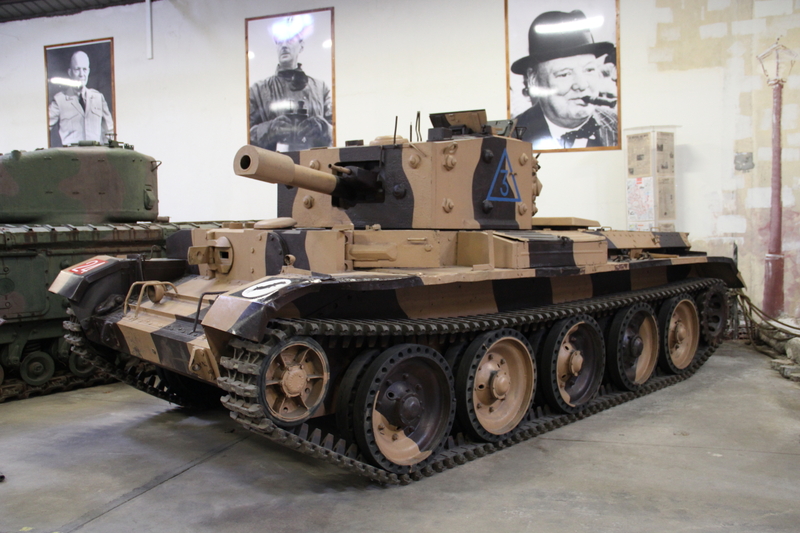 You can see that in this area you can find a mix of American and British tanks. 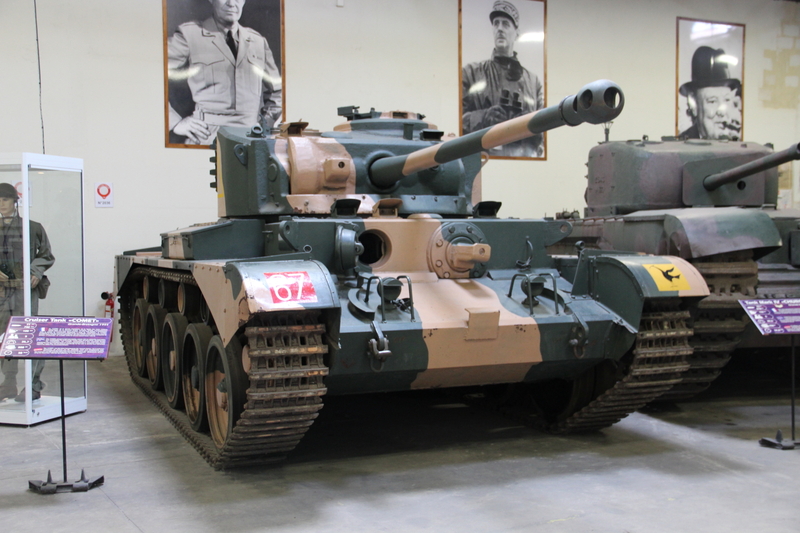 A M10 Tank Destroyer is on display here, baptised as the Wolverine by the British Army, although the name was never adopted by the American Army that instead called it a TD M10. 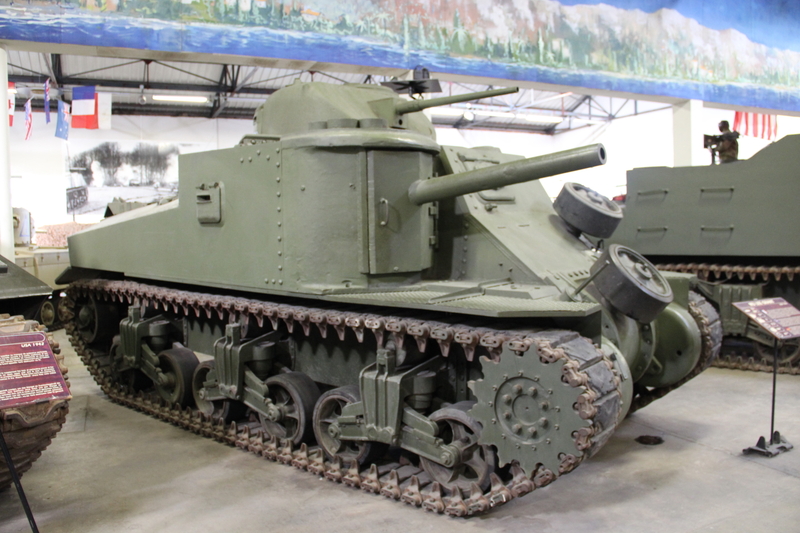 Next we have a M3 Lee and not a M3 Grant. 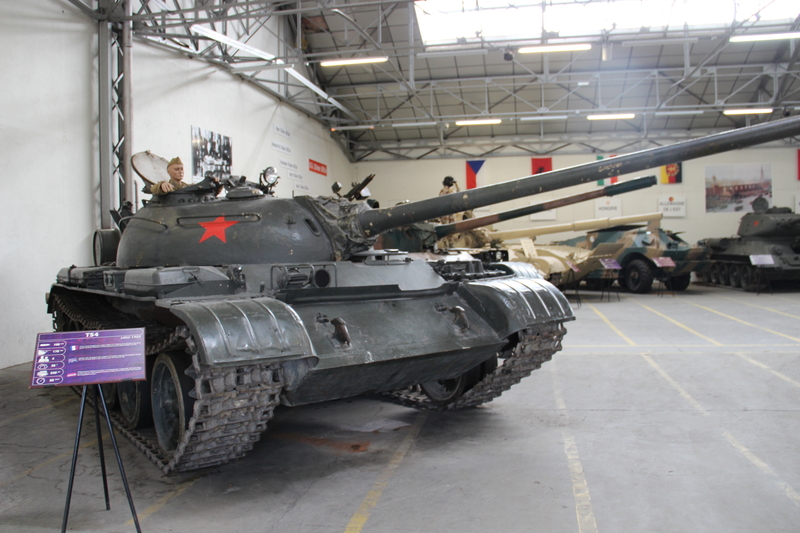 You can tell the difference from the turret, the one with the cast turret and radio setup was called General Grant, while the original M3 was called General Lee, or more usually used Grant and Lee. 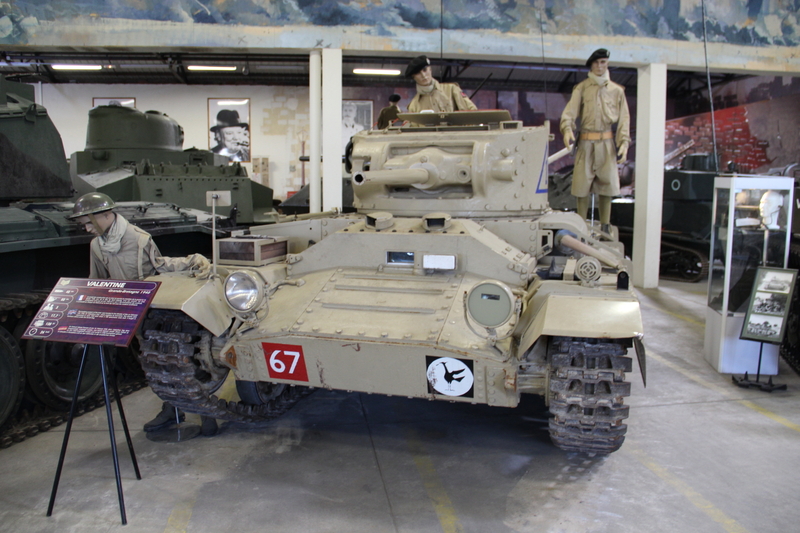 These names were used by the British Army when they received the first M3’s because confusion immediately set in with the M3 Light Tanks. 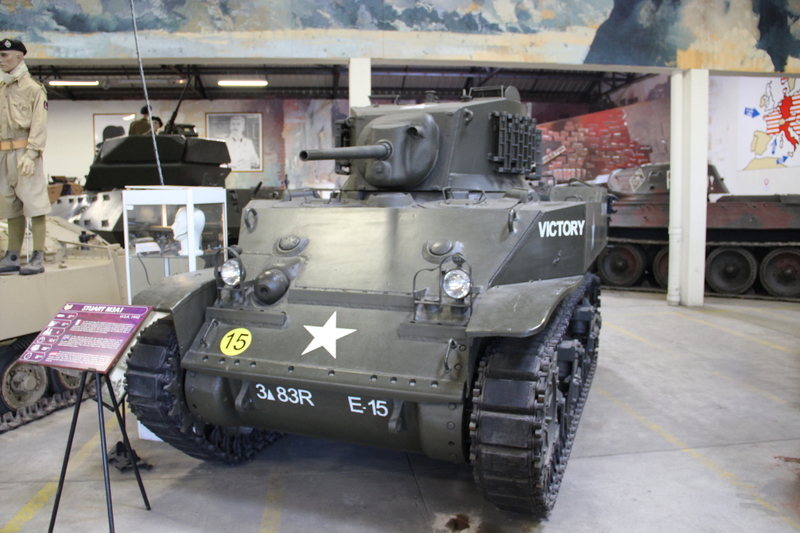 The one currently in the Bovington Tank Museum is a M3 Grant. 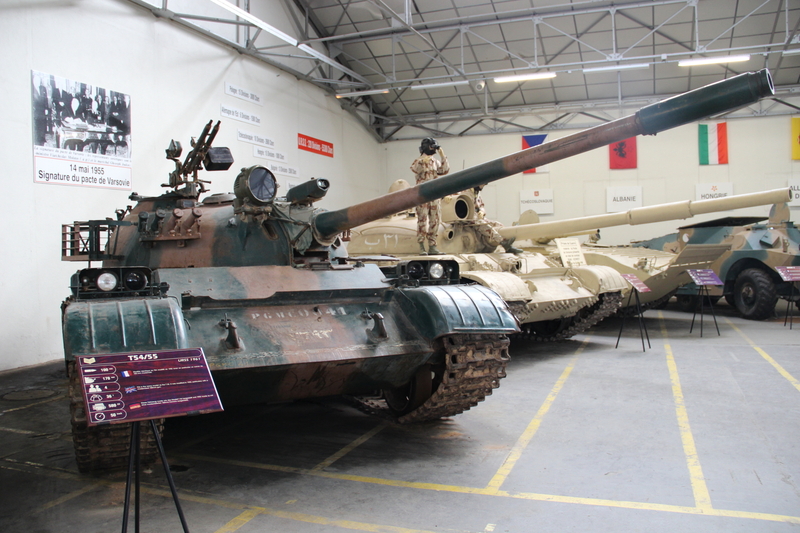 A Sexton Self Propelled Gun is also on display, together with a Churchill Mk IV and what I believe is a Sherman M4A4. 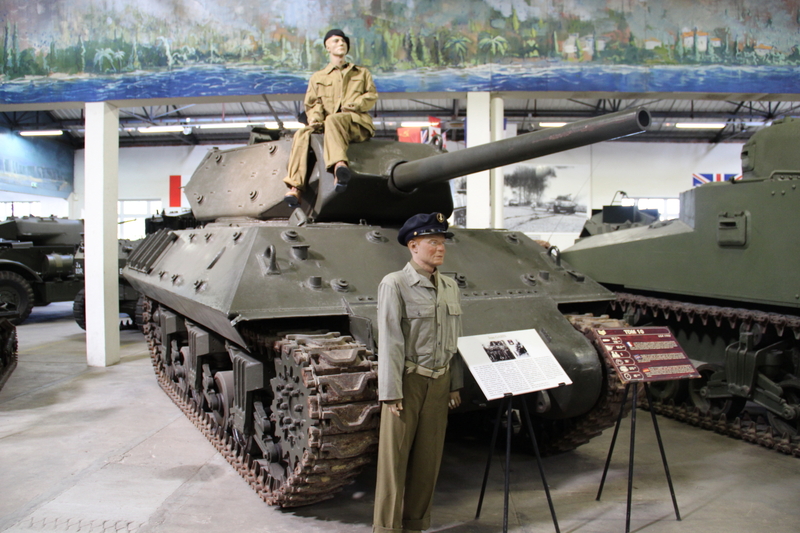 Sherman tanks can be difficult to identify because of the sheer numbers that were built. 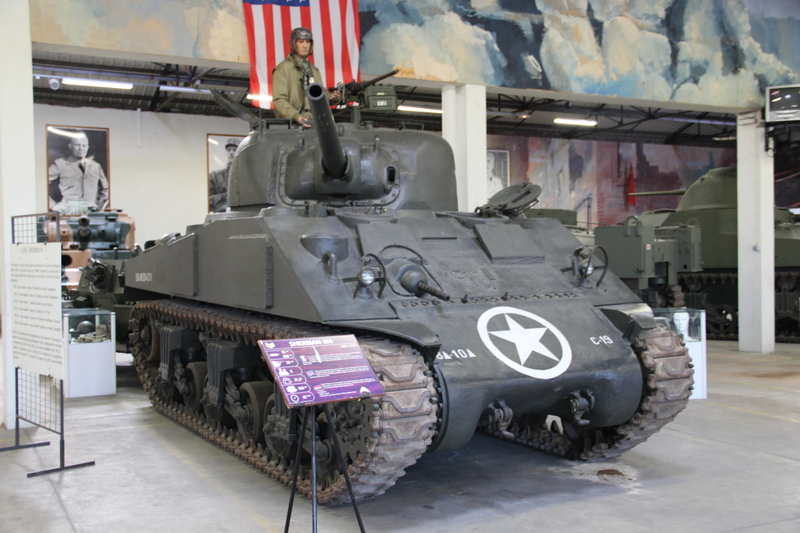 Based on the hull that was welded with extra armour plates for protection and the 75mm gun, I believe it to be the M4A4. Correct me if I am wrong. And it’s all for today’s post. 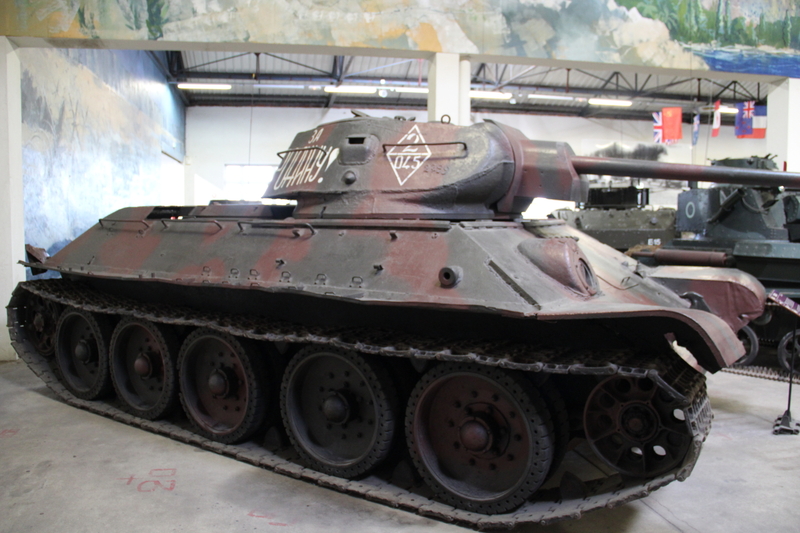 I hope you enjoyed Part IV of my visit to Saumur Tank Museum, if so, please do leave a comment bellow. Next part will be the last one and will be about the French Hall, Contemporary World Hall and the Outdoor Exhibition.